Making your dining reservations can be difficult and the first hurdle is choosing where you want too eat. With so many choices, how can you possibly figure out which restaurants will appeal to you? 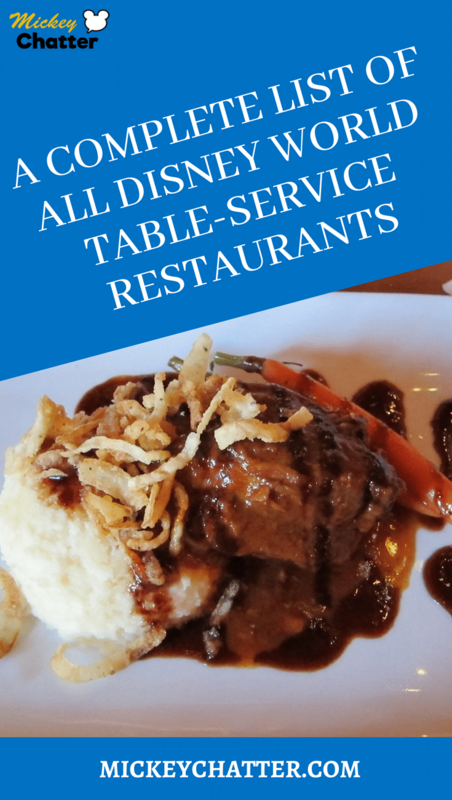 I’ve compiled a list of all the table-service restaurants at Disney World by location. 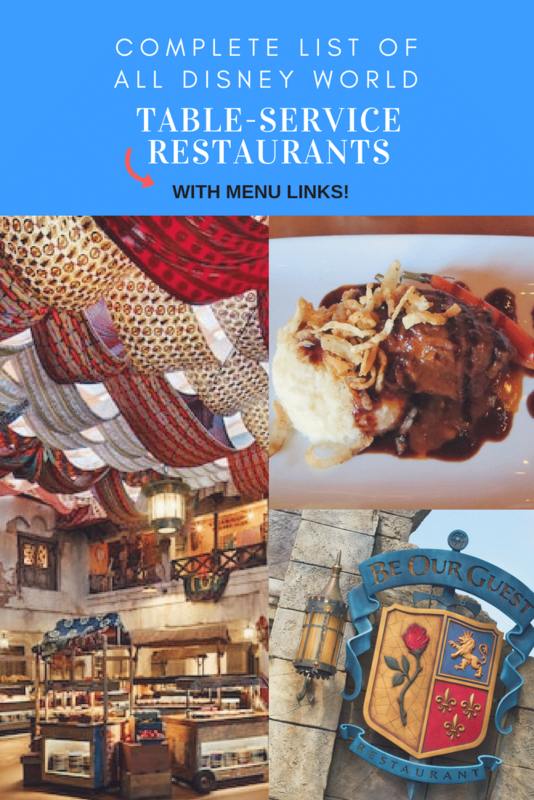 I’ve also included information about the type of cuisine and menu links to help you decide which restaurants will be best for you. Most table-service restaurants will use up 1 table-service credit if you are on the dining plan. The restaurants that are indicated as “Signature meals” will require you to use 2 credits. The only exception is Victoria & Albert’s at the Grand Floridian, where the dining plan is not accepted at all. You forgot Sebastian’s Bistro at CBR!